The sheer appeal of the eye-shaped Naini Lake is simply enchanting, be it in days when boating goes on in full swing, or at nights when its bank is lit by numerous lights highlighting border. The sound of Naina Devi Temple bells are enough to guide anyone looking for direction. From here, most of the tourists embark on their journey to learn more about this once British occupied capital. 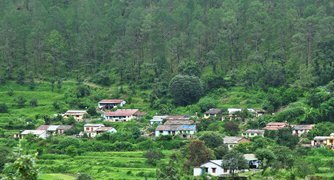 If plans extend to nearby places, people busy in arranging fields for terrace farming meticulously could be seen in Ranikhet. Not every day one can view such hard work of human. 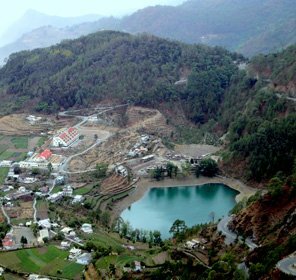 Legends tell about the eyes of Goddess Sati dropping where Naini Lake stands today while Lord Shiva was carrying Her body and grieving; the goddess who represents Shakti is worshipped in the temple located at northern shore of the lake. 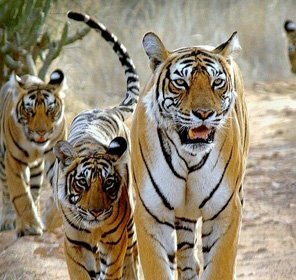 This is just a single myth; there are many other popular stories that could be heard once plans of Nainital tour are in place. The calm and cool environment is salubrious, healing soul just as the faith healing mind. The credit to raise a city around an ethereal lake goes to British. P. Barron, a Sugar trader. He is associated with the founding of the place in 1841, but since then people (residents as well as tourists) know it to be a speck of divine in more than one way. Rituals, celebration, myths, faith, devotion, romance- Nainital tourism has many faces. Depending upon what inspires more a tourist, the place garbs itself in a perfect host. 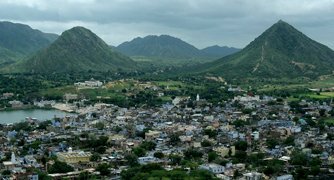 Bound by the beautiful peaks, lush greenery, valleys and Ballia River, the city is unscrupulous in providing soul rejuvenating experience. Ride a boat in the lake and the feeling comes stronger than ever. 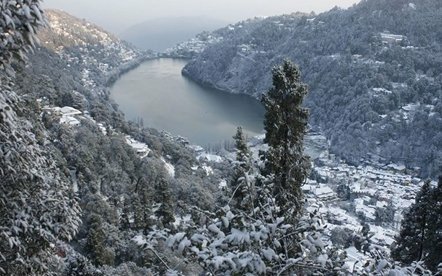 Deciding to spend holidays in Nainital can leave tickles in memories for life. Represented by the 'eyes' of goddess, the deity Shakti is the venerated with emotions and rituals. A church, set up in 1844 just when the city was getting developed as a English preserve, has now become a place of paying respect to one more religious faith. Associated with the event of Sita, wife of Rama, going inside the earth after giving sons- Luv and Kush to King Ram. Dedicated to the aide and devotee of King Ram- Hanuman, the temple is built on a hill by a local saint, 3 Km away from Nainital. Sattal (Saat Tal), Khurpa Tal, Bhim Tal, Naukuchiatal, are some of the lakes that are never missed for various opportunities varying from boating to parasailing and not to mention photographing. Located in the Mallital town, this natural park is a comparatively latest addition in Nainital travel package. Architect F.W. Stevens put Victorian Gothic style in a good use while designing this summer residence in 1899, so much so that it is appreciated for its work till date. the natural reservoir of water, the lake is the life, bread and butter of the hill city as intermingled as it is with tourism of Nainital. also referred to as China Peak, the beauty is as marvelous as majestic Himalayas could allow it to be. Trekking to the summit of the peak is worthy of all the efforts it requires of the tourist. 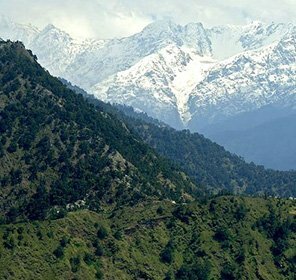 Another place to admire Nature with eyes, it showcases peaks Trishul, Nanda Devi and Nanda Kot. Cable car and motorable road, both are fine options to enjoy this experience. On Ayarpatta Hill, the place is idea for some breathtaking clicks of Himalayan grandeur. A vantage point called Drothy Seat is also located here. Waters of Khurpatal can be spell bounding- this is what is the first thought on mind when here. Neighboring hills and valley can make an inevitable feeling of 'end of the land' literally. A picnic spot of sorts, the place is enchanting with forests of deodar and oak and trail to Naina Peak. Remembered as the residence of Jim Corbett who played a key role in establishing the first national park of India, this is now turned into a museum shedding some light on the life of this hunter turned conservationist. 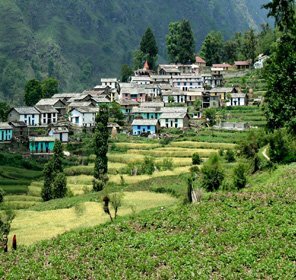 This picturesque town in the lap of Himalaya is more appealing because its location is such that many other significant places of tourism as well as faith could be easily touched. Let us start from. 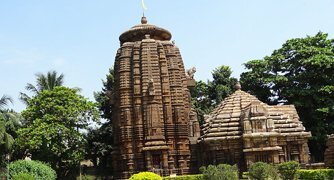 Named after Mukteshwar Dham- temple of Lord Shiva, the place is visited by devotees of Lord Shiva as well as hill station lovers. Just 10 Km away from Nainital, this place is popular for apricots, apple, strawberries, etc. Cycling through the place can be a great delight. When in Nainital, going to Haldwani is just a matter of one hour or more, covering 30 Km distance between. Also referred to as 'Gateway to Kumaon, the place is a tourism charm. Whether it is excellent wood finish highlighted with innovative and sensible lighting is sought or a room with the view of Sun and Naini Lake, there is no dearth of accommodation in Nainital. Tourists can find a stay place under their budget, be it a normal room or deluxe suite. During the peak seasons, it is highly recommended to book hotels or resorts beforehand because finding a nice place at the eleventh hour can become a challenge for a place as famous as Nainital Hill Station. 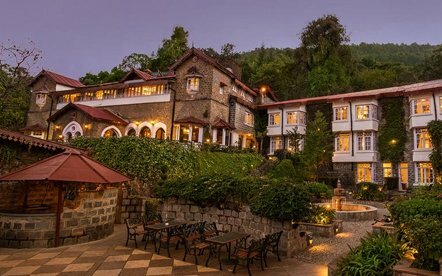 Some of the renowned names in hospitality services include Alpine Club, Dolmaar Resort and River side Camps, Emerald Trail, Langdale Manor, Naini Retreat, Palace Belvedere, The Hive and Pavillion. Tourists with exquisite taste in décor and services can look for branded Nainital hotels as well like Hotel Manu Maharani, Shervani Hilltop, Chevron Fairhavens and others. A perfect accommodation is a great way of opening holidays in Nainital. According to personal choices for a break, the best time could vary. However, on a general note, Naintal tour is considered best during the months of March to October. Nearest airport is Pantnagar, which is 71 Km. From there on, taxis take to the Nainital Hill station. 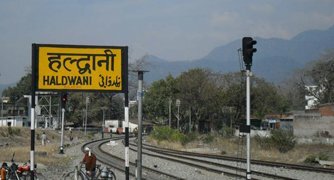 The place could be reached by Kathgodam connected with Delhi, Agra, Bareilly and Lucknow. It is the nearest railway station to Nanital, only 35 Km away. By road, reaching and enjoying Nainital is much more convenient being well connected to cities like Delhi, Almora, Ranikhet, Ramnagar, Haridwar, etc.